The Mother Daughter Book Club meeting for this book was held November 16, 2017, at 6:30 in the Community Room. It is 1654 in New England, native land of Algonquin tribes, among them the Pocasset, Wampanoag, and Narrangansett people. The pilgrims have settled here in the natives’ territory at Patuxit, a place the Pilgrims renamed Plymouth. Weetamoo’s father, Corbitant, is chief of the Pocassets. He is mistrustful of the colonists and imparts his beliefs about them to his daughter, who is next in line to become chief. 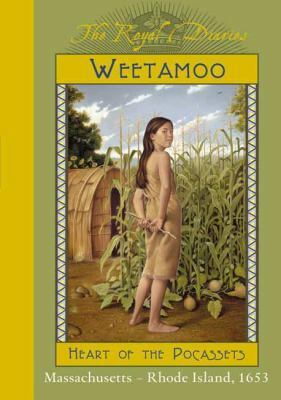 Weetamoo must learn the fundamental values and disciplines of a true Pocasset chief.